La Bella Donna concealers can be used by people with all types of skin because they're not known to cause any allergic reactions. The concealers can be easily applied to the skin and are great for tossing in your purse or luggage, as they are mainly packaged in compact boxes with built-in mirrors. The products under this category are also available in a wide range of shades or colors and are made to provide you with complete coverage. The concealers can be easily removed with regular makeup removers. They will not only help you with covering minute imperfections on your face, but also provide you with a radiant look. These concealers will add to the overall seductiveness and beauty of your face. The second concealer option is the La Bella Donna Anti-Aging Mineral Mystique. This specific concealer is available in six different colors and provides anti-aging benefits by incorporating potent anti-oxidants into its formula. The La Bella Donna line was created by a mother and daughter who both believed that makeup should not only provide a cover for imperfections, but should also include ingredients that are going to help reduce and treat those imperfections at the same time. Every item in this line truly embodies the idea of the multi-purpose product. Each formula is designed to help you look your very best with simple, natural ingredients that nourish, hydrate, repair and protect the skin. All of the La Bella Donna mineral concealers, along with the rest of the La Bella Donna cosmetic line, are available at Skincare By Alana. 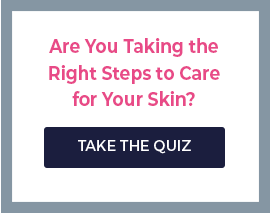 This site contains all of the best natural skincare lines available on the market. All of the lines and products on the site are hand-picked by the site owner in order to ensure that each line or product really lives up to its claims and delivers effective results. If you order from within the U.S., Skincare By Alana will even deliver the products to you for free.